Major Divya Pillai LEED Green Associate, ICIOB, B.Arch (Sir J J College of Architecture), MSE International Construction Management and Engineering (Leeds, UK). 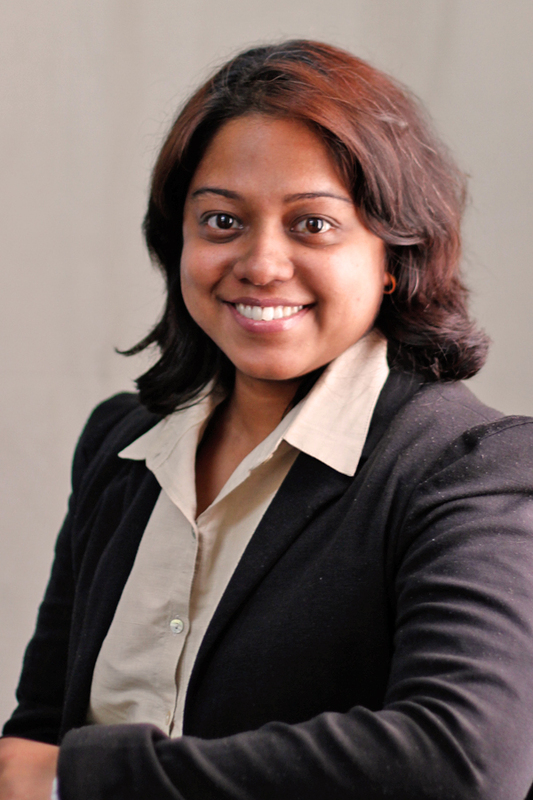 Major Divya has 9 years’ experience in Building design, Construction Project Management and instructional training. Major Divya after completing her studies at Sir JJ College of Architecture Mumbai she worked with Upasani Design Cell (UDC) as an Intern. She then moved to Bangalore to work with Jaffer Design Studio (JDS) under Ar Jaffer Khan, RIBA. The fortunate exposure to Residential and Commercial Architecture and design along the backdrop of sustainability and green design concepts gave her the required impetus and knowledge to pursue the field later in life. Major Divya joined the Army in 2005 as an Architect in the Corps of Engineers and since then has worked for 7 years with the Indian Army, having expertise in planning, execution and control of infrastructure based highly complex projects under challenging circumstances, with keen interest in design , development and estimation of project feasibility. She has also been actively involved in human resource management, logistics and training of troops and Officers in the field of construction activities of varying nature. She has also implemented projects that yield measurable results, including reduced tactical-planning cycle time, improved performance through organized and systematic planning methodologies, productivity gains through multiple change and formulating and revising standards to strengthen Army’s strategic management objectives. Her association with the Olive Green (Indian Army) was not only an eye opener but also a media for intense personality and leadership development. The Army tenure gave her confidence, courage of conviction, helped her imbibe discipline and moulded into her man management skills, communication skills, and technical engineering skills. The Indian Army was definitely a path breaker and after completion of service in the uniform she went forth to complete a certificate course in Business Management from Indian Institute of Management (IIM) Indore. She thereafter also pursued further education from University of Leeds, UK successfully acquiring a Master’s degree in International Construction Management and Engineering. During her stay in the United Kingdom she effectively represented her country and University in group presentations and has also actively participated as a group in an International Real estate competition at MIT, USA. During her studies in India, UK and her experience in the Defence forces she has been inspired, instigated and motivated to be part of sustainability and green building technology. Major Divya then passed the USGBC LEED certification exam and presently is a LEED Green Associate. She is also pursuing a distance learning Graduate program in Construction Safety Management from National Institute of Construction Management and Research, Pune (NICMAR). As an Associate partner for Terra Viridis, she is involved in advising clients the best methods to obtain Green building rating systems. She is also involved in facilitating the process of Green building rating systems by effective co-ordination, team work and management between client, consultants and the organization. Specializes in : Construction Project Management, Architecture and Green building rating systems.